When parents with special needs children decide to put together an estate plan, they are not just thinking about how they will be taken care of in the later stages of life, or how their affairs will be handled after they pass away. They have to consider their children in all aspects of their planning, and figure out how the children will be cared for financially and legally after the parents’ death. In some cases, the way to plan for special needs children financially is through setting up a special needs trust. Once a parent sets up a special needs trust, they can leave all their assets to their child with a trustee who controls the trust and its distributions for the care of the child. The trustee can pay for a wide variety of things, including vacations, out of the trust funds. Parents can also set up specific types of special needs trusts, sometimes known as support trusts or supplemental special needs trusts, through which a trustee can use the trust funds to provide food, shelter, educational needs, and meet other basic needs for the beneficiary. Special needs trusts are more beneficial when they do not interfere with Supplemental Security Income (SSI) benefits from the Social Security Administration. Parents should keep in mind that even their minor child may be eligible for SSI benefits based on their physical or mental needs. If your child has marked severe mental or physical conditions that limit their daily functionality, then they most likely meet part of the requirements to receive SSI. The other requirements are financially based, and your child cannot receive benefits if they have income or resources that exceed a set amount. However, depending on how the trust is set up, assets you place in a special needs trust or a supplemental special needs trust for the sole benefit of your child do not have to affect the child’s eligibility because they may not count as a resource. The trustee designated to administer the trust has to be careful not to directly give cash from the trust to the beneficiary as this could count as a resource when the beneficiary applies for SSI or other government benefits programs. Even wealthy parents should not discount the possibility of their child needing to rely on government benefits. It can be a good backup in case the resources the parents arrange to do not cover the child’s needs throughout his whole adult life. A special needs trust can also be set up in such a way that the trust distributions supplement these government benefits providing more resources for the beneficiary’s benefit. There are many other considerations when estate planning with a goal of providing for a child well through his adult life. Your choices and how you set up the support the child needs could affect your child’s ability to receive other benefits or resources. 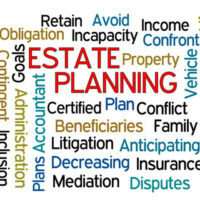 To discuss trust administration and the best way to handle the legal aspects of estate planning with your special needs child in mind, contact an experienced estate planning attorney in The Villages, Florida by calling the Millhorn Elder Law Planning Group.